We started our first project with persons with disabilities in 2002 with the funding support of Caritas India CBR Forum for persons with disabilities. Persons with disabilities (PwDs) are often excluded from many life domains. 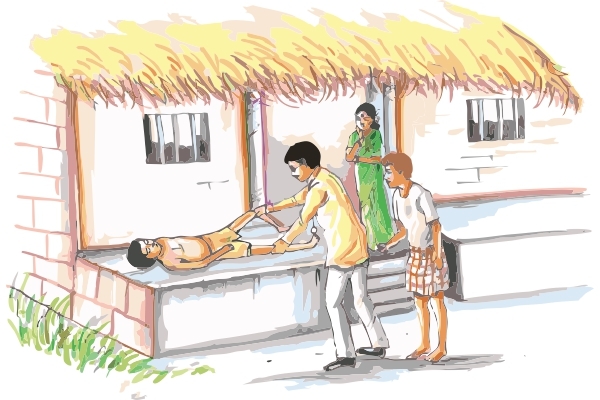 They do not have access to adequate health care, children are not enrolled in schools, they do not participate in social events, do not have the possibility to earn their own livelihood and most of them do not take part in decision making process at family- and community levels. 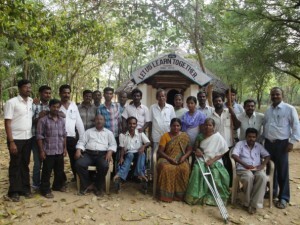 In the first phase of the project, our aim was to reach out to 290 PwDs in Kadambathur block in Tiruvallur District. Disabled People’s Organisations (DPOs) were formed so that the PwDs would be able to take care of their own development. We provided information and assistance in the five domains that the World Health Organisation recommends for the rehabilitation of PWDs: health, education livelihood, social inclusion and empowerment. To achieve easy access to health care for PwDs, we focus our activities on two distinct processes. First, persons with disabilities need to be aware of the possible treatments and rehabilitation services which is why we give them information and discuss options with them. Second, we are doing advocacy with service providers so as to increase their motivation and willingness to give adequate treatments and rehabilitation services. For the education of disabled children, parents as well as teachers have to learn how to give adequate education to disabled children. We inform parents about the educational options for their child and organise trainings on inclusive education to teachers. Moreover, we do advocacy of barrier-free public transports for children with disabilities. A majority of the PwDs depend on daily wages in agriculture. We are offering skill trainings for PwDs to increase their employability and to give them the opportunity to start their own businesses. Furthermore, we are working together with banks to create positive attitudes towards PwDs. We are showing them that PwDs can be trustworthy and are able to repay loans on time. 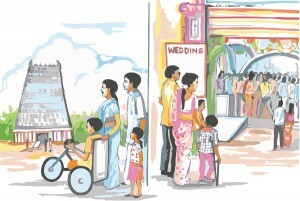 Since families and communities often see disability as something shameful, they tend to exclude disabled family members from social activities such as functions and festivals. We are working with PwDs, their social environment and Government departments to achieve an attitudinal change. Next to this attitudinal aspect, we are also working on reducing the physical barriers, for example by constructing accessible ramps for buildings. PwDs are organised in groups where they can share their experiences and seek support if needed. 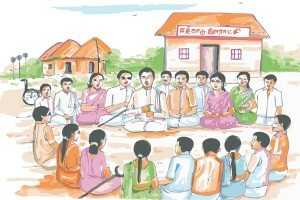 The leaders of these groups follow trainings on government support schemes and share this information with their groups. 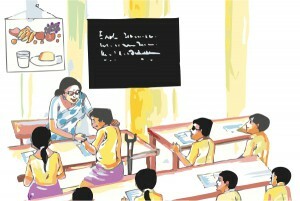 With the support of the group and the acquired knowledge, PwDs gain the authorities. 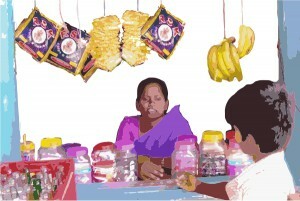 In all our projects, our goal is to create projects that can sustain even after the official project is over. This is why we founded Vasantham Federation of Differently Abled soon after the project started. It is a Federation of and for persons with disabilities which is now in charge of the Disabled People’s Organisation (DPOs) that previously where managed by IRCDS. We continue to give them technical assistance and support them when it comes to resource mobilisation and documentation. The federation has evolved into a very dynamic movement that counts more than 10,000 members today. More information on Vasantham Federation.